The 'enigma' moth represents an entirely new family of primitive moths. 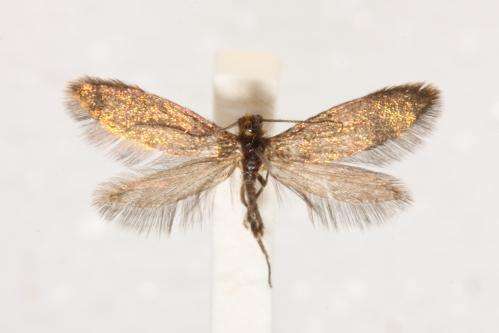 Aenigmatinea glatzella – which has iridescent gold and purple wings – is a 'living dinosaur' that represents an entirely new family of primitive moths. 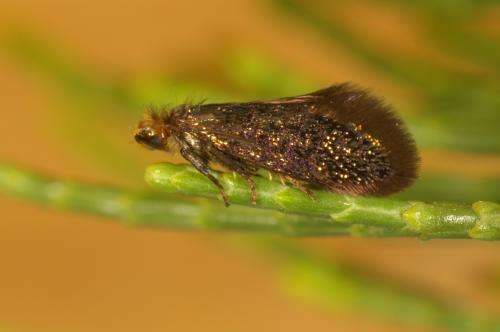 This is the first time since the 1970s that a new family of primitive moths has been identified anywhere in the world. Our fauna is so exciting we can still find new primitive species. Australia is so rich in moths that vast numbers still remain to be discovered." 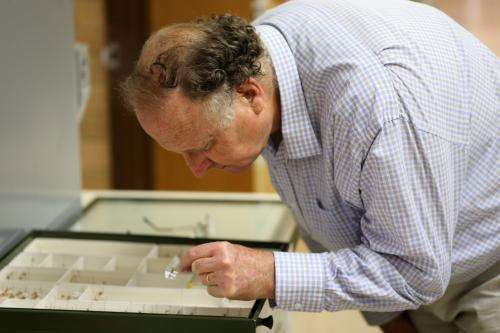 Dr Ted Edwards at CSIRO's Australian National Insect Collection. With wings outstretched the adult ‘enigma’ moths are about the size of a five-cent piece. 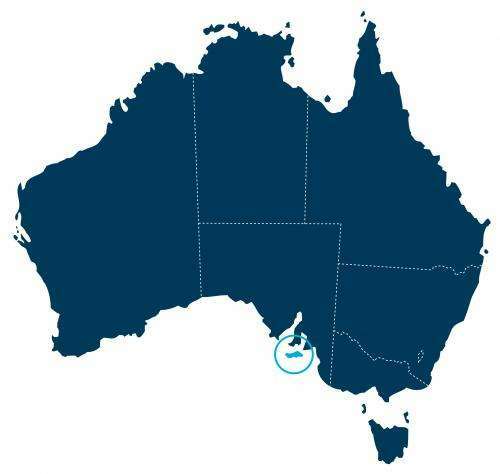 The location of Kangaroo Island, off the south coast of South Australia.